East meets West with the AR-47 Upper from CBC, made with high-quality material and meticulous workmanship in CBC's facility in Charleston, South Carolina. The 16" AK barrel has been engineered to seamlessly fit an AR-15 flat top M4 Mil-Spec upper receiver. The barrel is the perfect marriage of East and West, delivering the take-down power of an AK but the functionality and accuracy of an AR-15. The KeyMod handguard by Hera is engineered and manufactured in Germany. This modern-designed rail is made from aircraft-grade aluminum, and features hard-coat anodized rails to improve the strength. 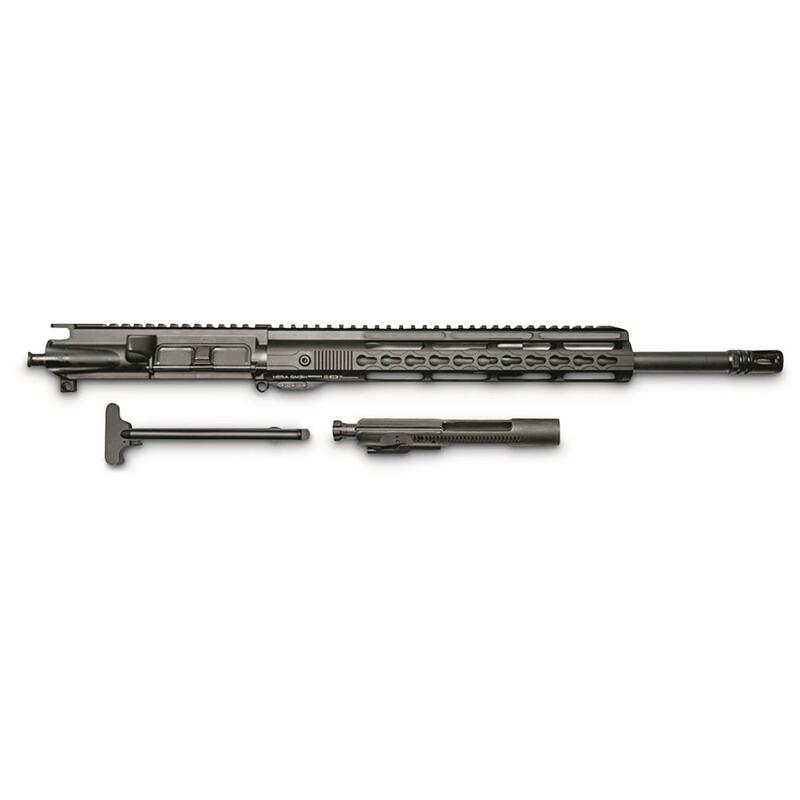 The Upper includes the bolt carrier group and charging handle, so you'll have a good head start on your build. CBC 7.62x39mm AR-47 Complete Upper Receiver, 16 Barrel, 12 Hera KeyMod Handguard is rated 4.8 out of 5 by 4. Rated 5 out of 5 by THE PHAMTON from very accurate Only problem I had with upper is the standard AR15 firing pin is too light for the large hard primers used in 7.62X39 ammo. Would not always fire and some ammo wouldn't fire at all. Solved problem by installing a stainless steel firing pin designed to handle the lg. primers. Now 100% reliable. Rated 4 out of 5 by ralphybag47 from gas block problem I tried to fire it and rounds would not eject. after checking what the problem was. I found the gas block was NOT aligned. I had to take shield off to readjust the gas block. After doing that, the gun worked fantastically. Rated 5 out of 5 by Sneakyt from Outstanding upper! Excellent balance. Lite and solid. Low impulse for follow up shots. Key mod keeps it nimble with a mini vertical grip. With ppu 123 sp, the spent casings dump a mere 3ft aside. Feeds perfectly with quality sst mags. Accurate... very accurate! Great job CBC, and thanks again sportsmans guide! An easy-to-install, rock-solid tactical upgrade. Available in 3 different sizes: 10", 13.5", 15"
Give your rifle a tactical upgrade. AIM Sports M4/AR-15 Drop-in Carbine Quad Rail Handguard, 6.5"
0.750" gas block/0.070" gas hole dia. Heavyweight accuracy to start your build.